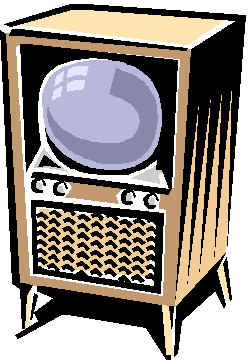 Early television and television shows are explored by your friends at oldetimecooking.com. Come join Chef Brad as he presents a featured 1940 or 1950 television show each month. 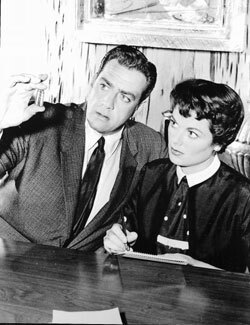 Television was introduced in the United States in the late forties and by the early fifties had become a household fixture. The early sets were large, heavy things with small round screens. Family members would have to crowd around the "set" to see the action. There were few television broadcasting stations and they would typically begin broadcasting between six and ten in the morning and "sign-off" around nine or ten at night. A test pattern proceeded any programming and the "Star Spangled Banner" was usually played just before sign-off. Early Television was light-hearted and informative. Not needing to be graphic or violent to get it's point across, television of the late 40's and the 50's gave us many hours of relaxation and escape. Shows like Ozzie and Harriet, Make Room for Daddy, Your Show of Shows, I Love Lucy and so many more took us away from our daily cares. Swanson introduces the first successful TV dinner: turkey, mashed potatoes, and peas.